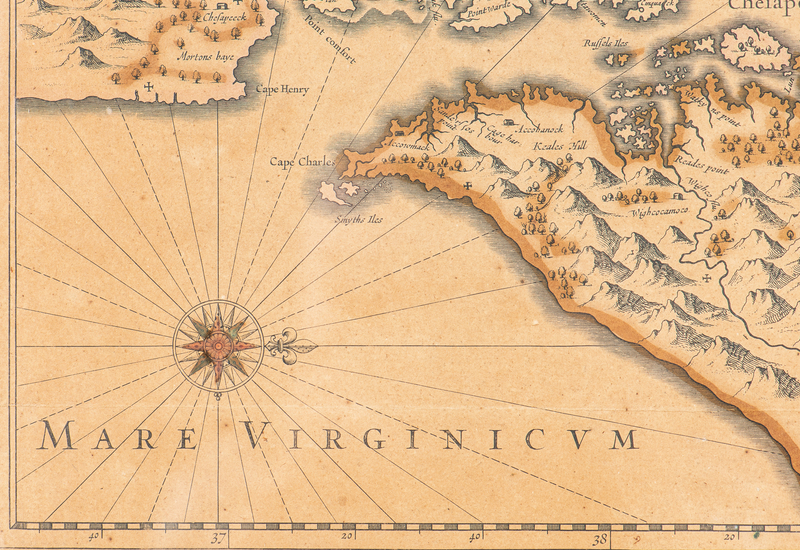 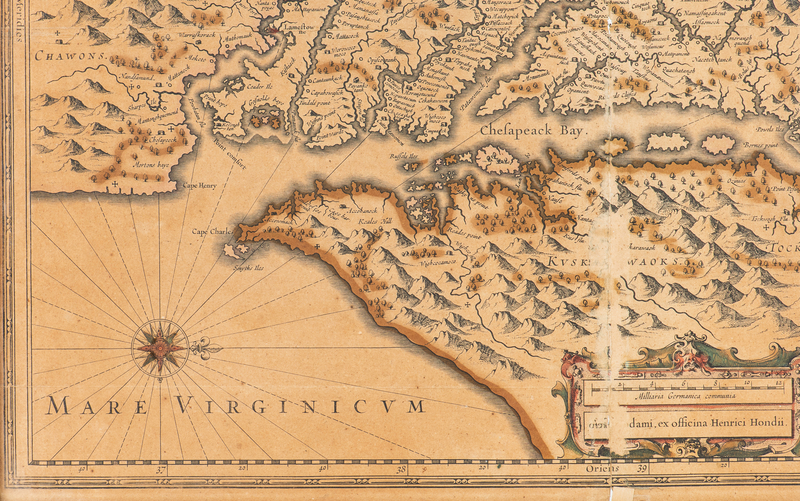 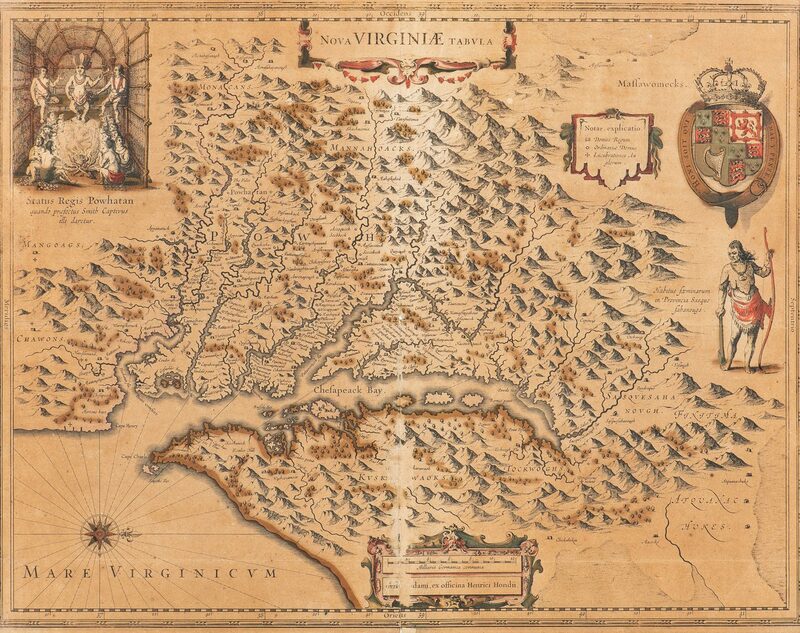 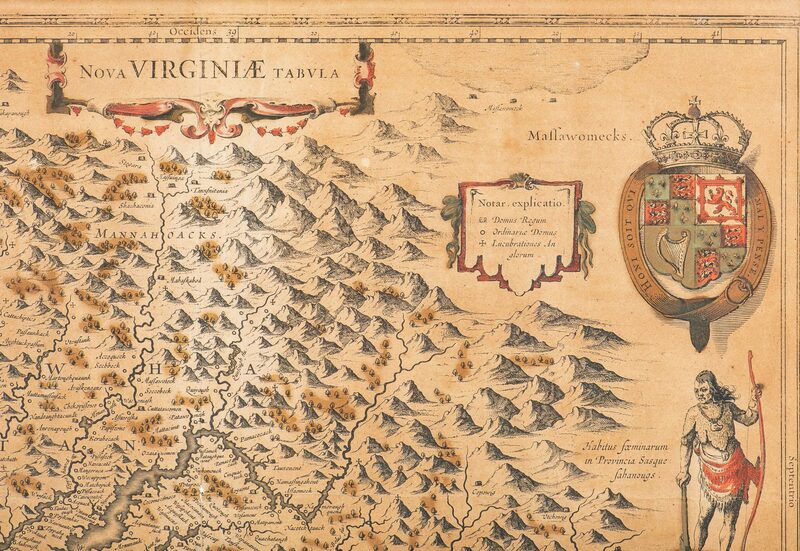 NOVA VIRGINIAE TABULA by Hondius, Amsterdam, copper-engraved map of Virginia based on the 1612 Virginia map by John Smith, engraved on laid paper. 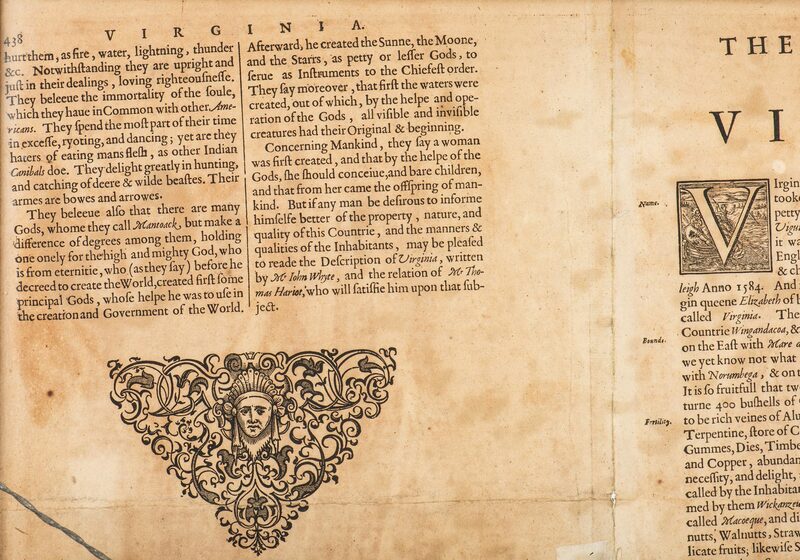 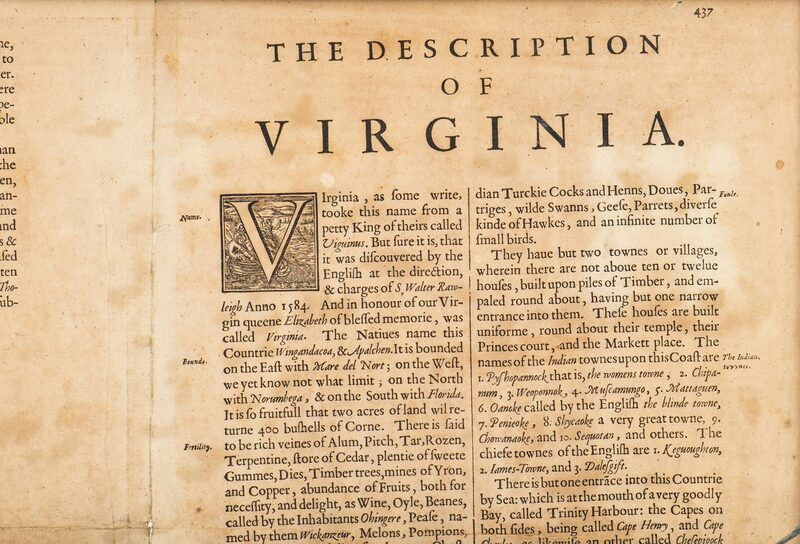 Framed with double sided glass showing English text en verso, "Description of Virginia". 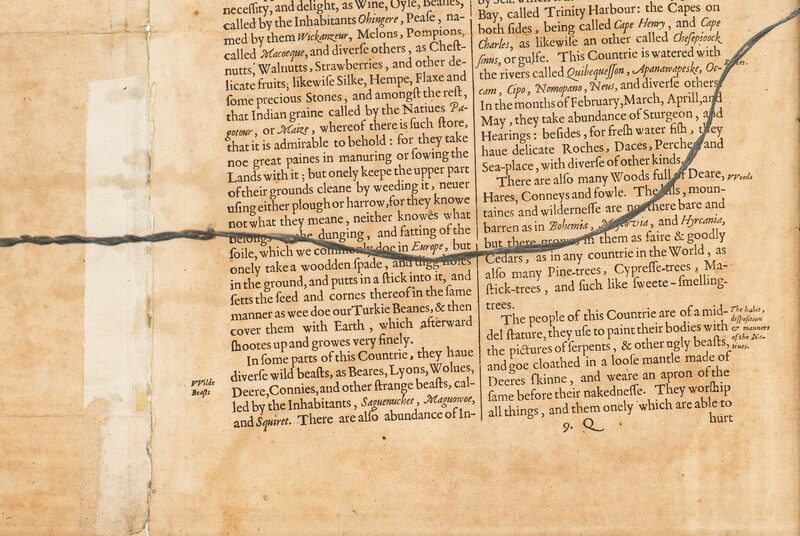 According to Philip D. Burden, "The Mapping of America," the notation 9.Q on the bottom of the page of English text identifies this as an edition printed between 1636 and 1641. 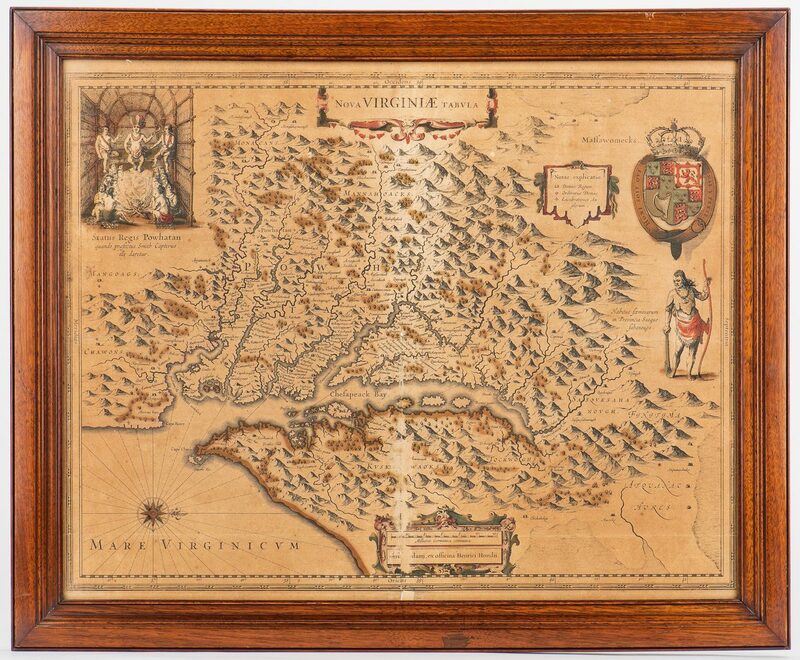 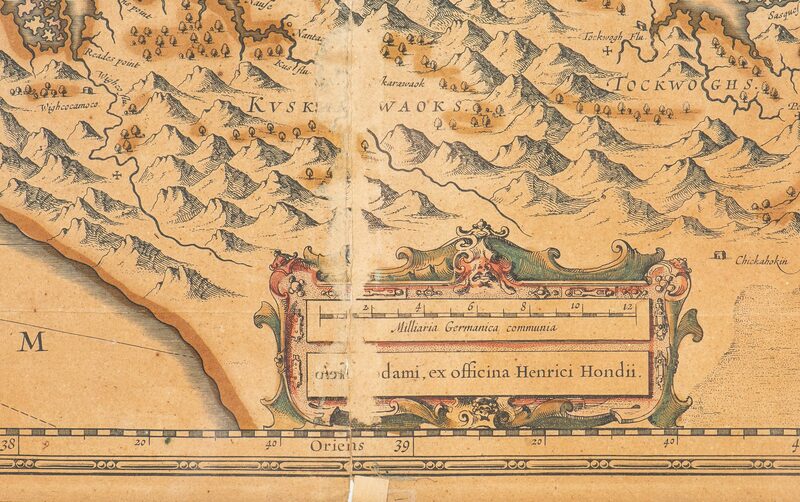 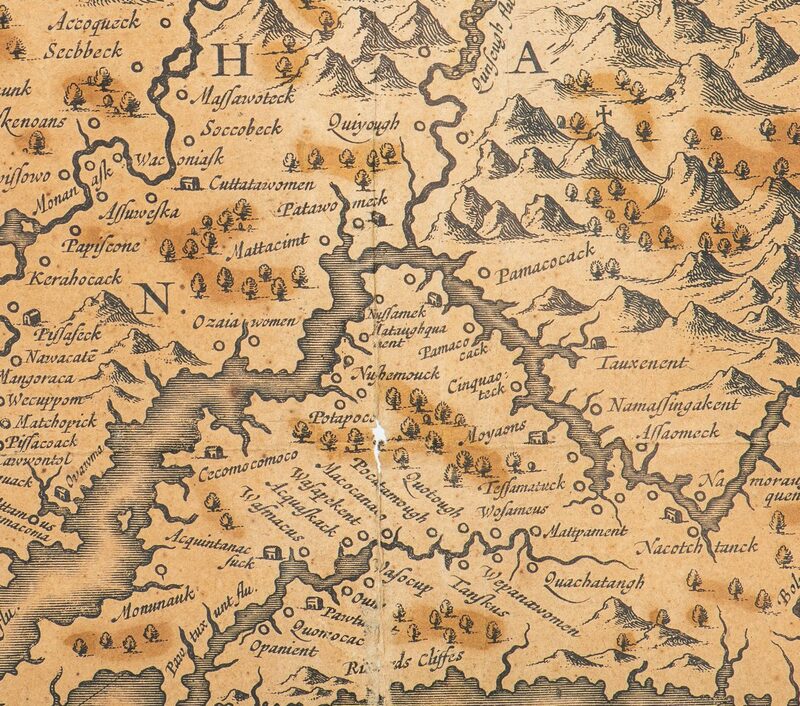 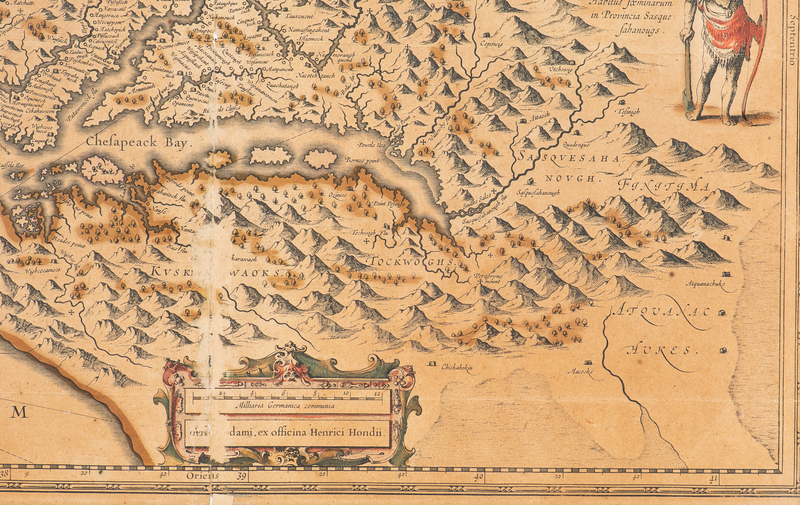 Map shows the region surrounding the Chesapeake Bay, with depiction at upper left of an Indian dwelling when Captain John Smith was a prisoner there. 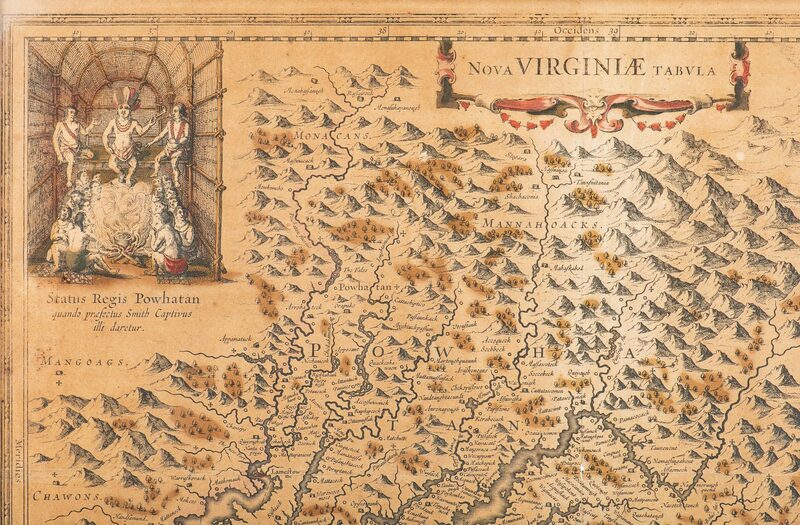 At right is a large vignette of a native American Indian holding a bow and facing the Chesapeake Bay. 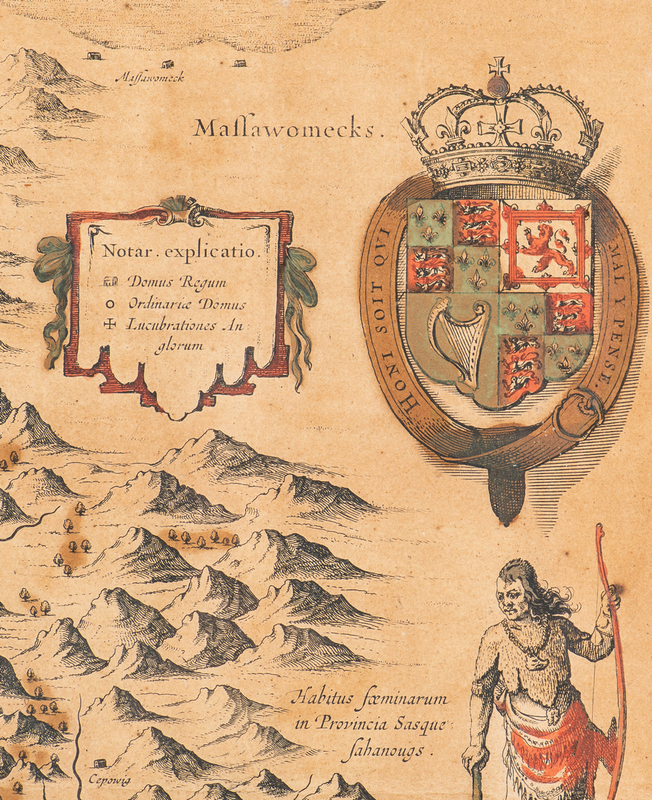 The legend notes the king's house, ordinary houses, and the English settlement. 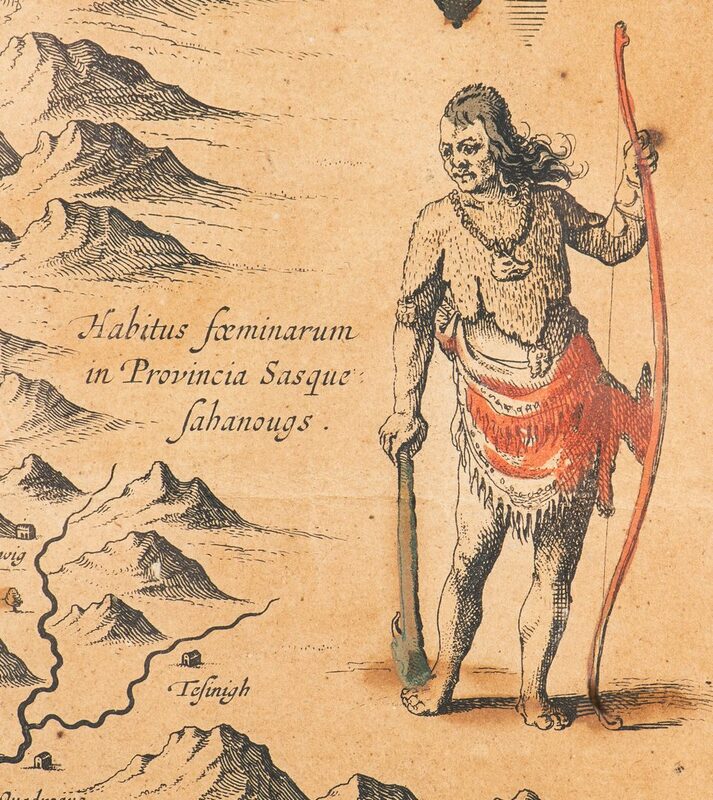 The names of various Indian tribes in the area are noted (Powatan was the king of a confederation of Algonquin tribes). 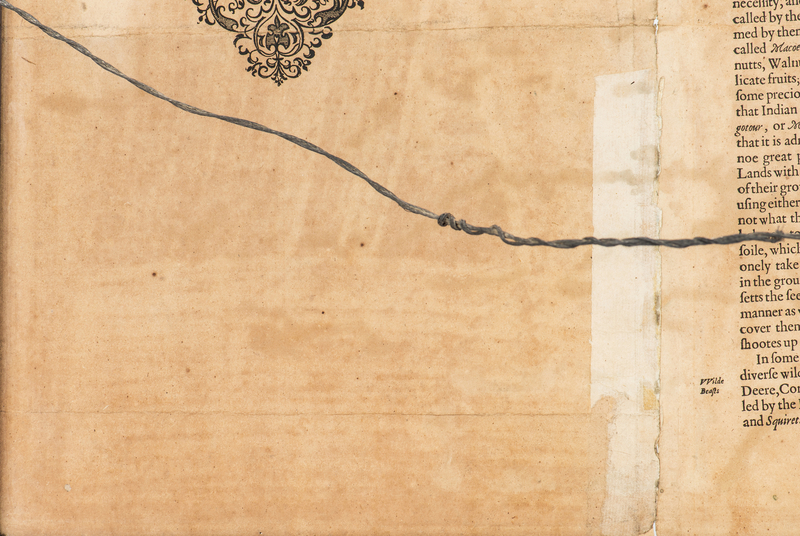 15" x 19 1/2", 15 3/4" x 19 5/8" sight, 18 1/2" x 22 1/2". 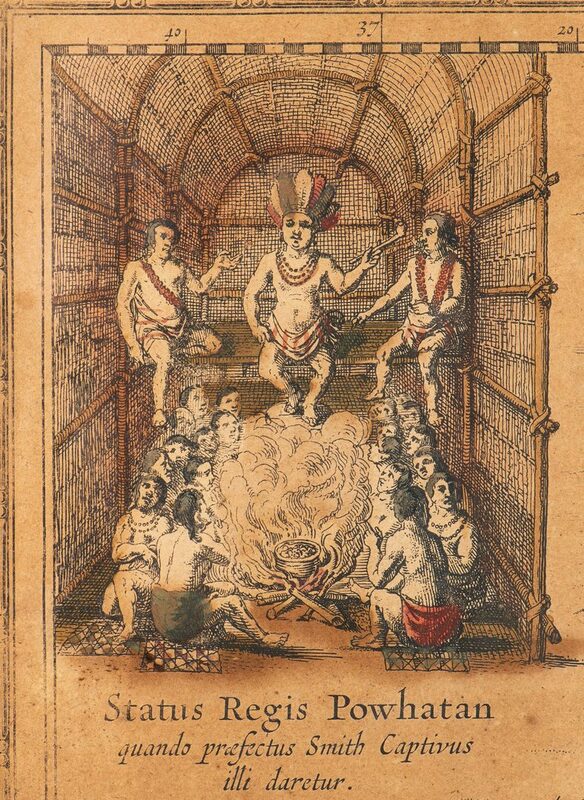 framed. 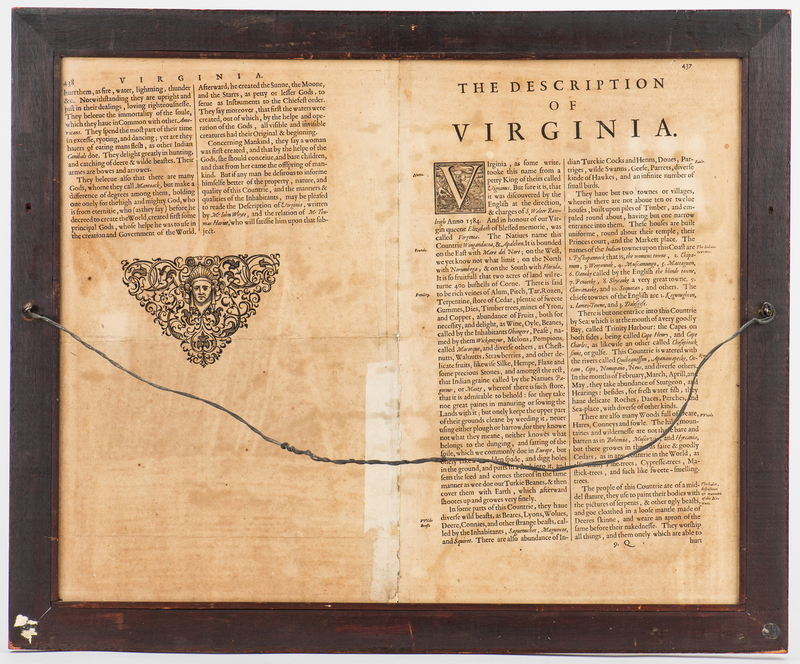 CONDITION: Significant but even toning and fading, old tape repair to center (visible en verso) with 1/2" loss at lower center fold and a few other small separations at fold line; some light scattered foxing. Full crease across lower quarter, about 2" from bottom.